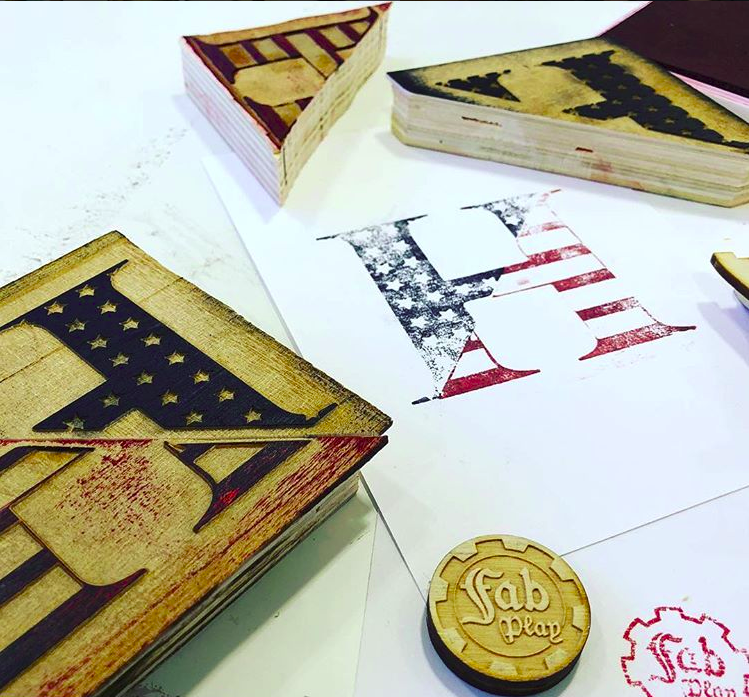 Katie Hamrle ’19 created a stamp for Hawken’s Alpha Company, a student ran club that supports all active and former military members. 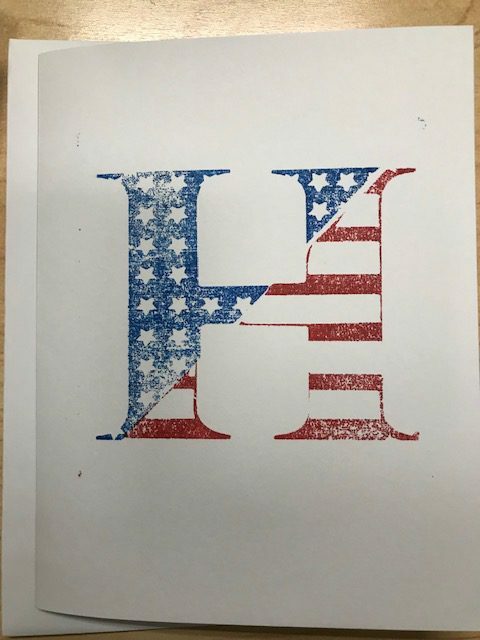 They are sending cards to Hawken alumni that are veterans and stamping the front of the cards with this American Flag inspired H stamp. 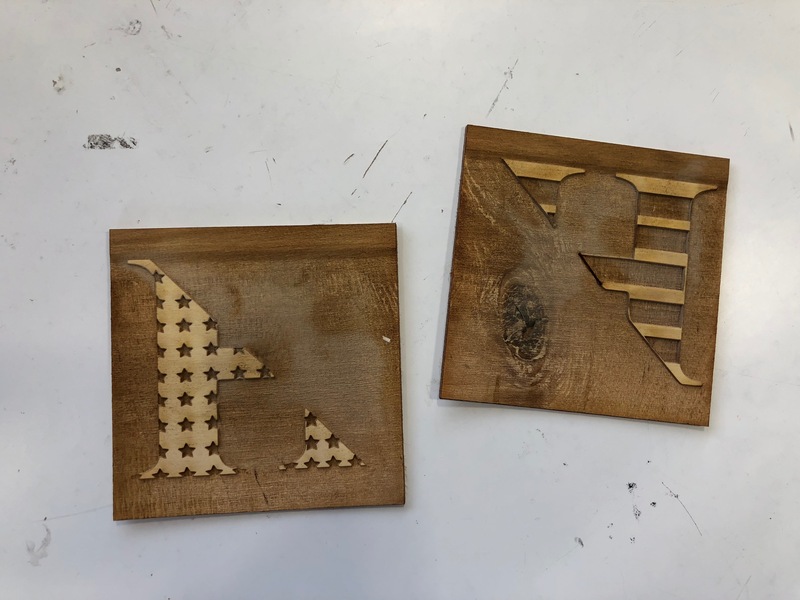 By using the laser cutter, she created two woodblock stamps. 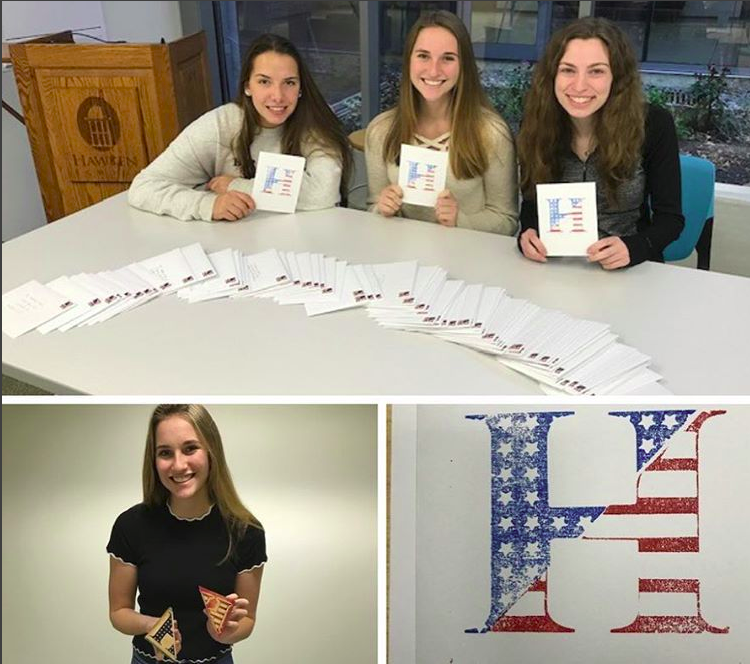 In the end, the club sent 93 cards to United States military veterans all over the world. 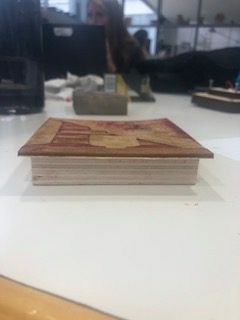 I have finished my stamp. We stamped all the cards, the stars being blue and stripes being red. I was able to line up the stamps but cutting close to the diagonal and marking the edges. 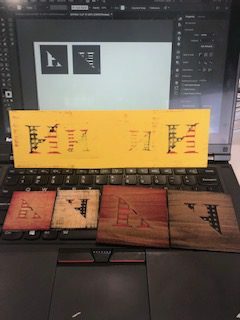 I have started testing the stamp. I added blocks to the back to make the stamping process easier. I am having some issues with residual ink. 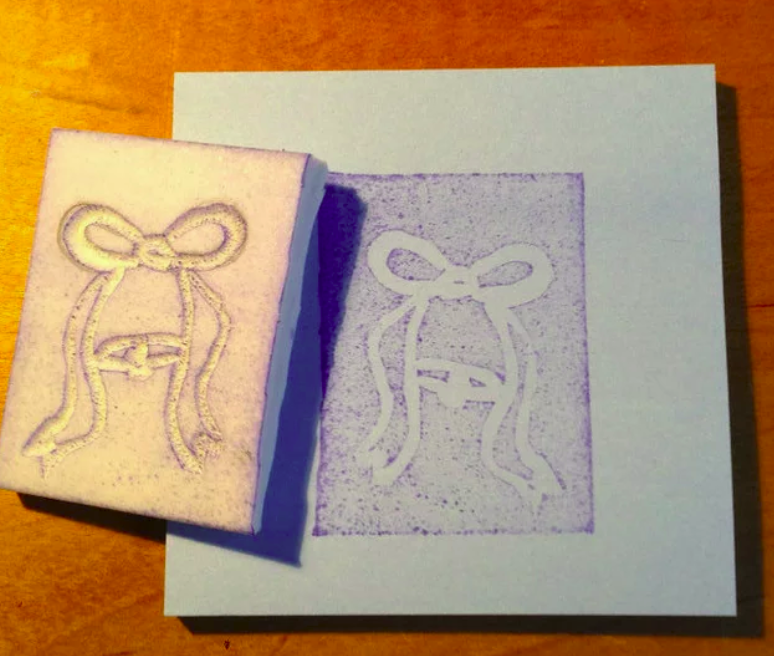 I made my small stamp larger. 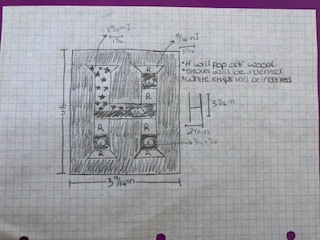 I scaled the H and block together so it ended up proportional. 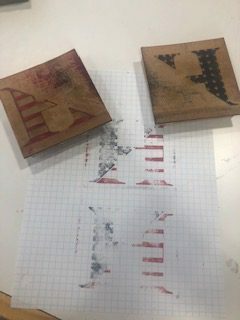 Doing 2 stamps has worked out well for coloring but is a struggle to line them up. This is the first cut out of the stamp. I will have to make the background darker so it indents more. I have also tested the inking on paper. My next step will be to make it larger and make some dimensional changes. 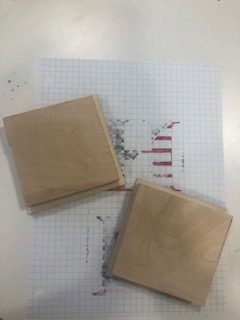 I am having some challenges finding the correct depth needed to make the stamp appear properly. 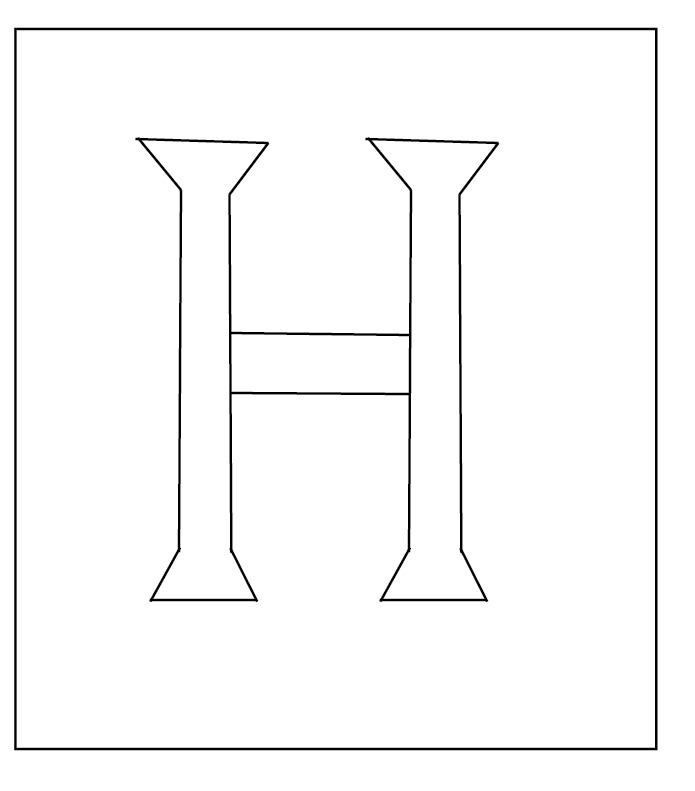 I have created 2 stamps for each side of the H. This way I will be able to make the stamp 2 different colors. 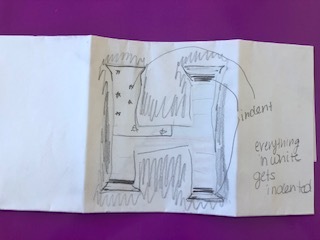 Today I started the second draft of my design. 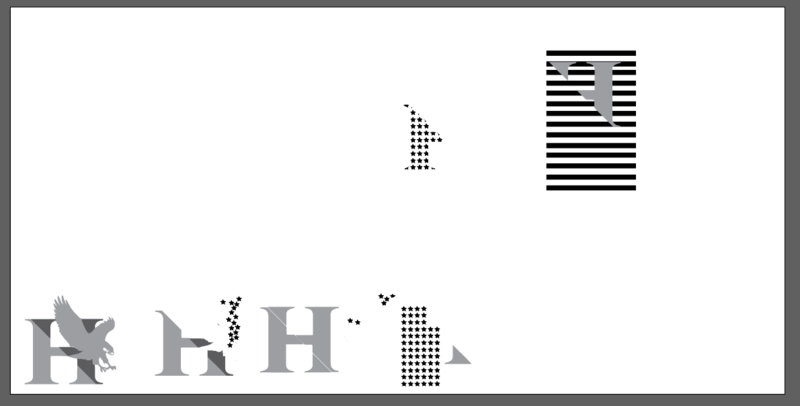 I used Illustrator to make a blanket of both stars and stripes to create a uniform pattern before merging the design with my H.
This is the first draft of H of the logo. The lines are rough and it isn’t symmetrical. A second draft is in the works. 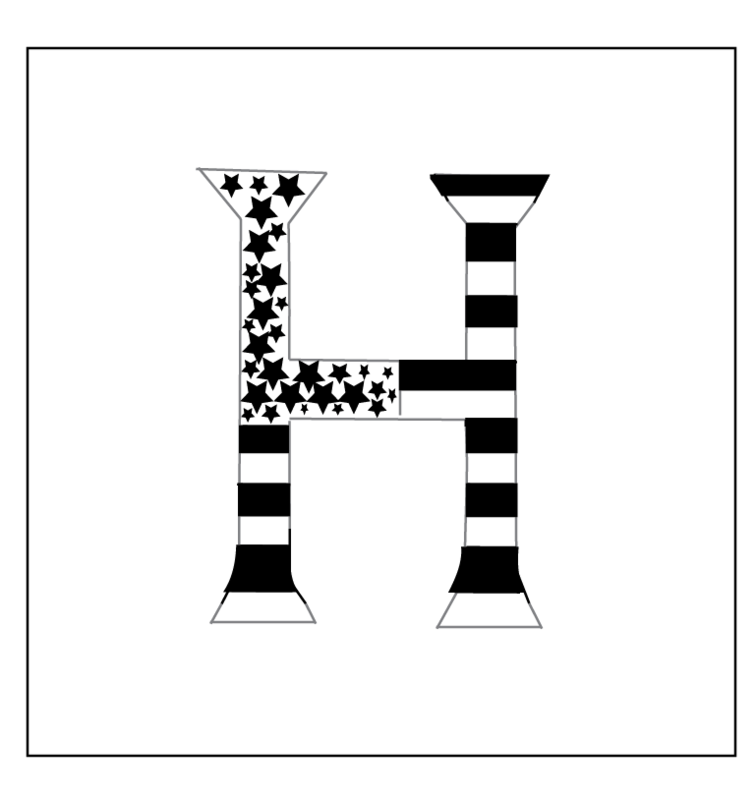 The design might change to make the stars half of the H on a diagonal and the strips on the other half. 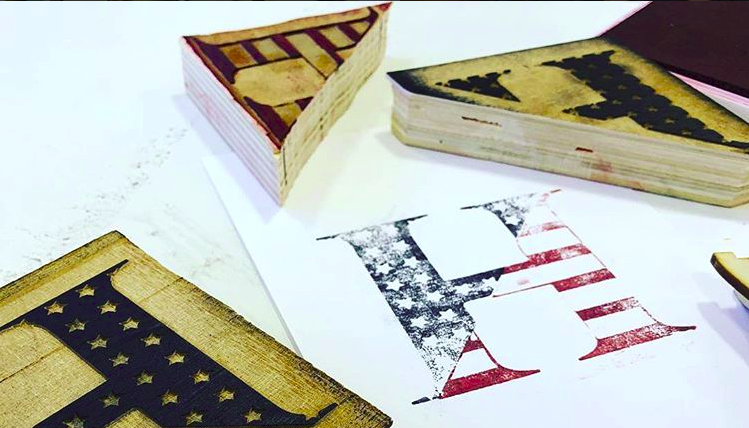 I’ll be making a wood-block stamp for the front of the Alpha Company’s Veterans day cards. These are my initial sketches and inspiration. All shaded spaces will be indented.